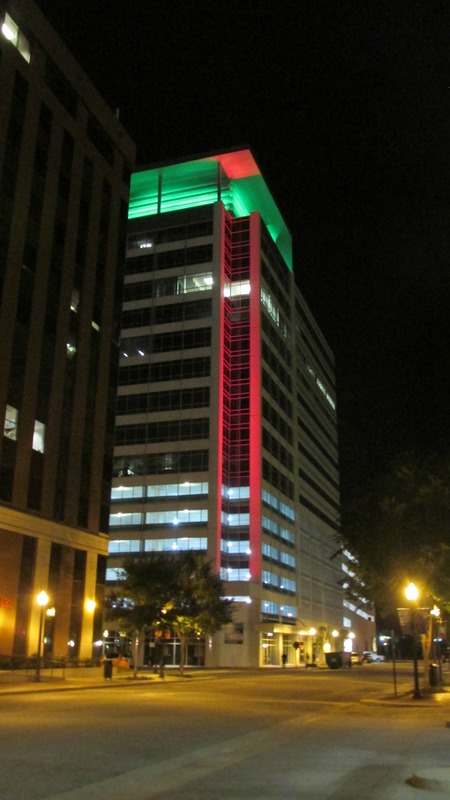 As you’re driving down “The Boulevard”, 264, or even crossing the Lesner Bridge, you may notice the occasional color change of the lights on the “Clark Nexsen building” in Town Center of Virginia Beach. From pink – to teal – to orange – to red – there is meaning behind these light displays. Since installed, Town Center has used the lights to bring attention to good causes and celebrate holidays and special events. 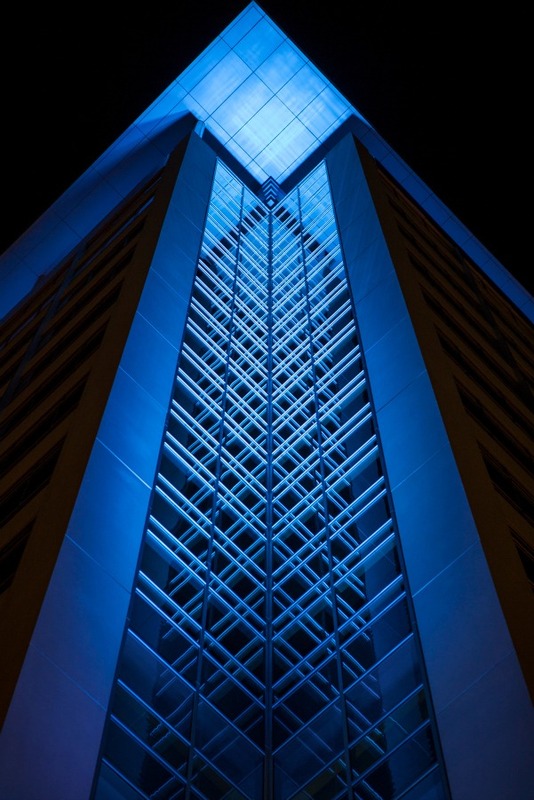 The building usually illuminates a bright blue light. 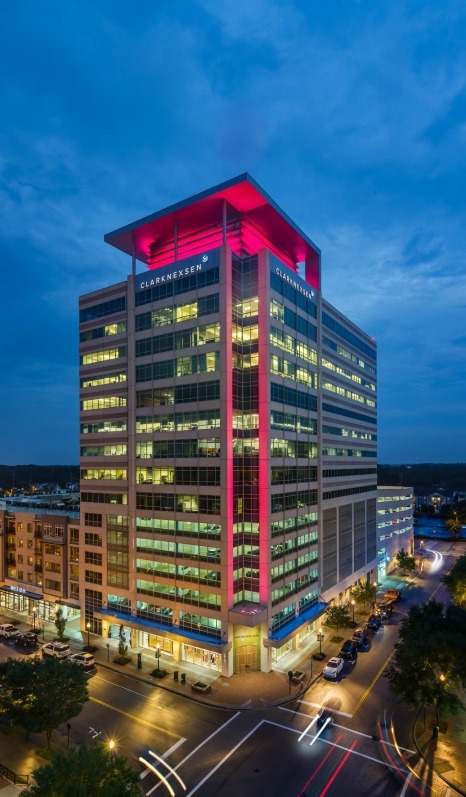 It shines pink for Breast Cancer Awareness month, red, white and blue for Memorial Day, Fourth of July and Veteran’s Day, orange for Halloween, and red and green for the holiday season. The building even goes “green” by turning off the lights in honor of Earth Hour every year. In addition to the light display, you’ll find several businesses in Town Center that honor some of these special causes by giving a portion of their sales to the correlating non-profit or offering discounts to customers that display support. Here’s a peek at what you’ll find on February 1 – “National Go Red For Women” day.